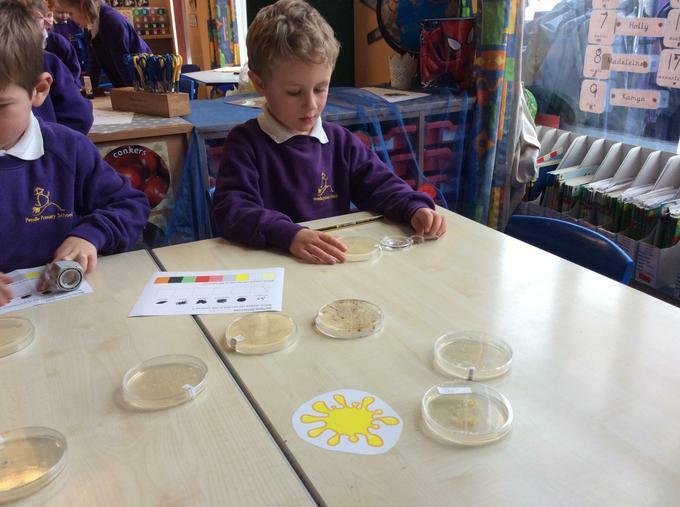 This half term we have been investigating and describing how plants need water, light and a suitable temperature to grow and stay healthy. 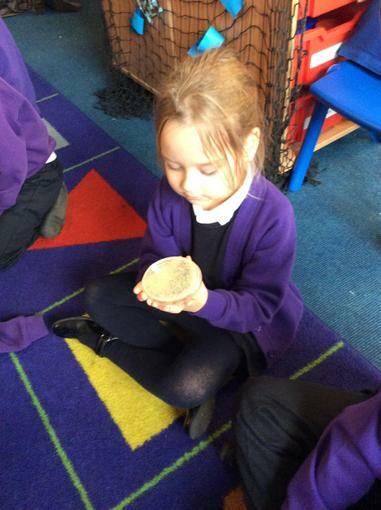 We planted some sunflower seeds. 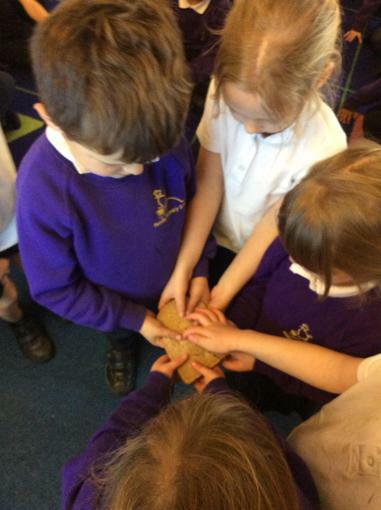 We planted one in soil and put it in a dark cupboard; one in just water; one in soil but with no water and one with water, soil and sunlight. 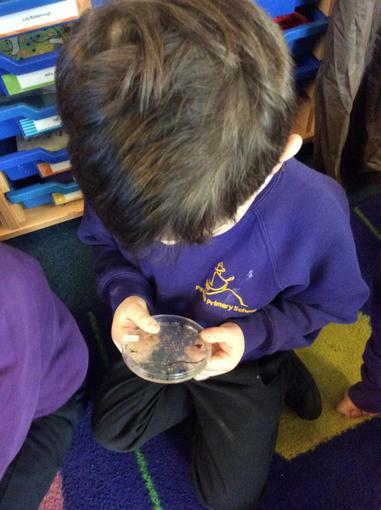 We observed them a week later. 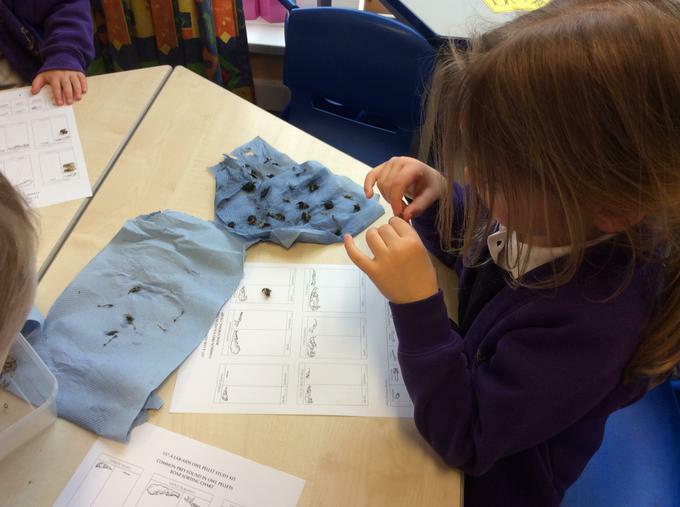 We found out that although both of the seeds in sunlight and without sunlight had sprouted, the one in sunlight was healthy but the one without wasn't. 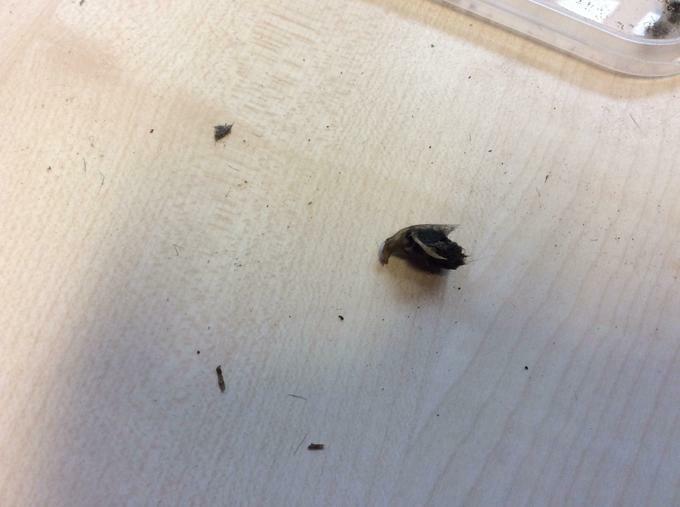 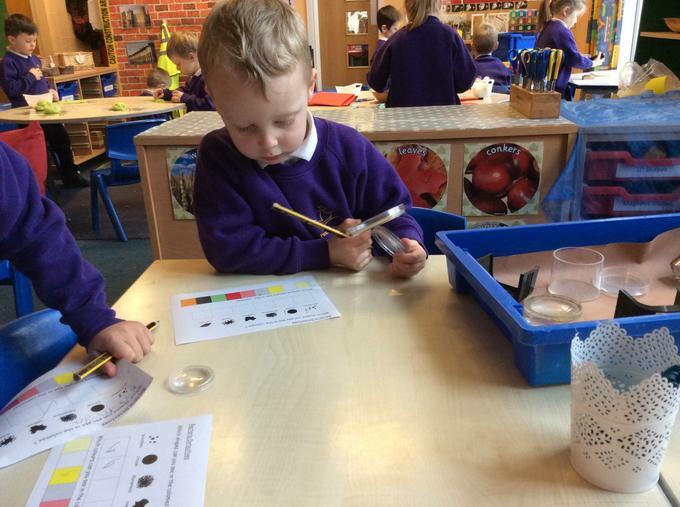 We also observed the seed in just water using the Easi-Scope (see pictures below) and had noticed that it had started to sprout! 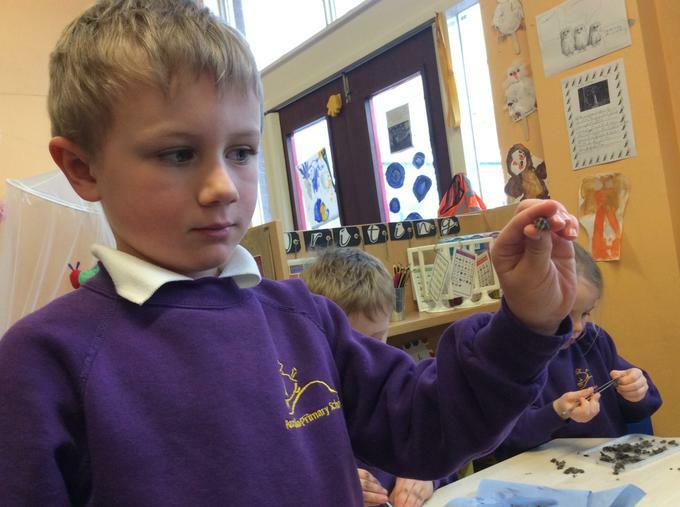 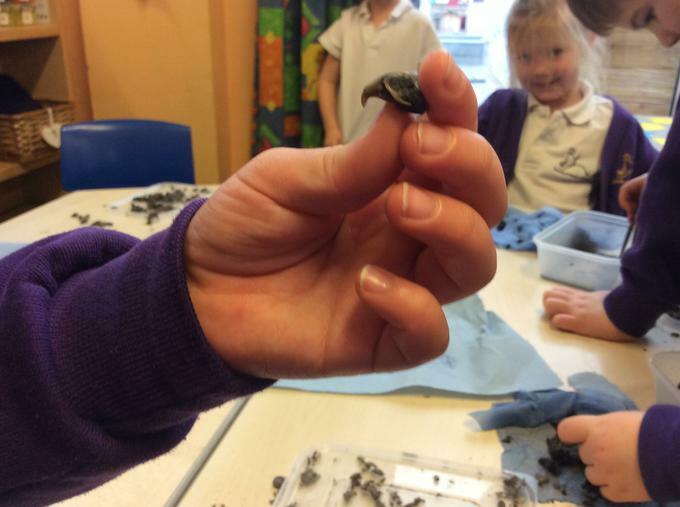 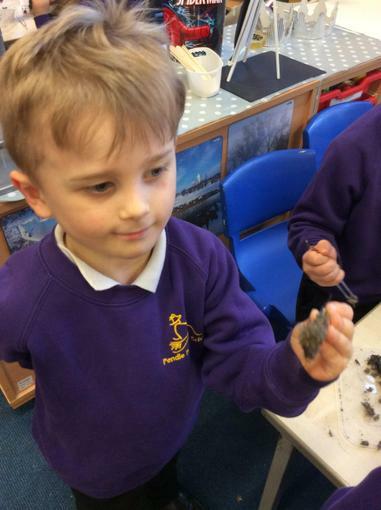 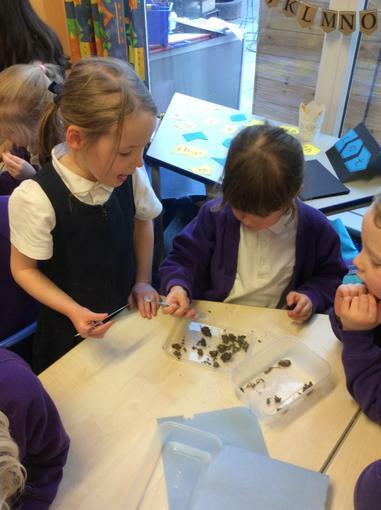 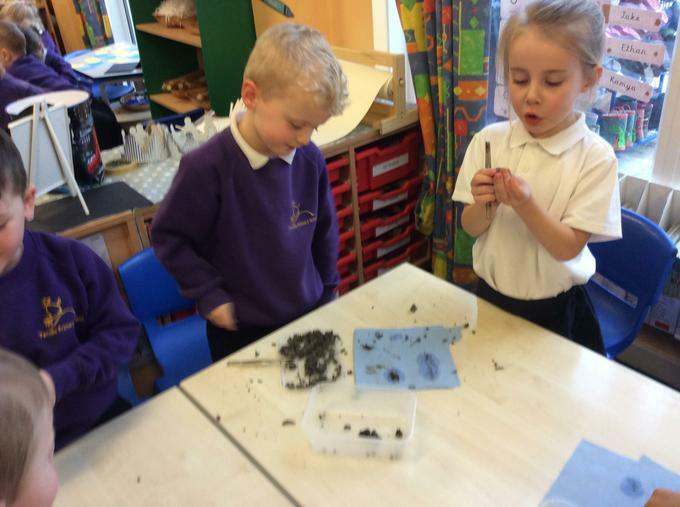 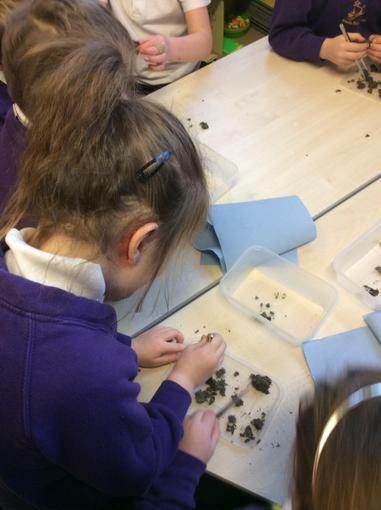 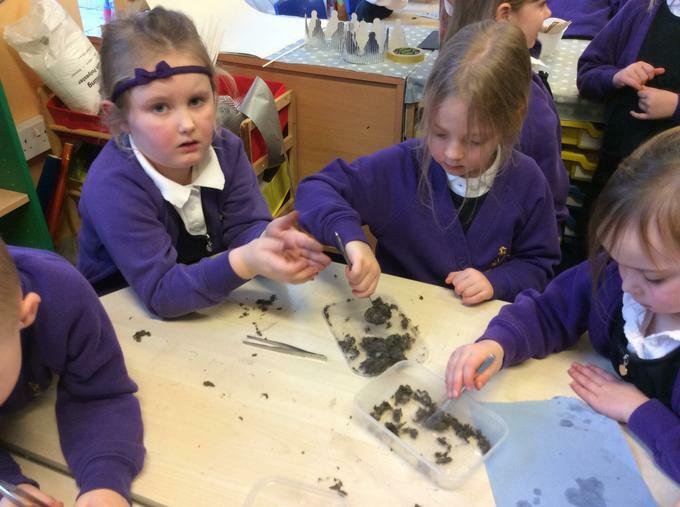 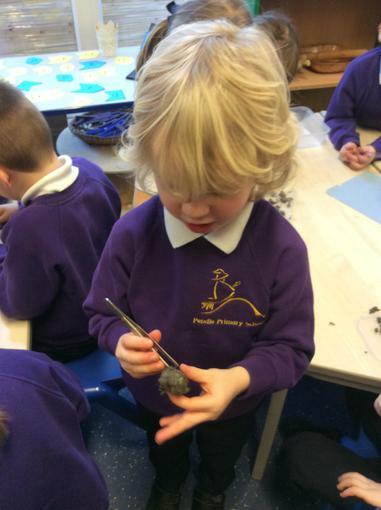 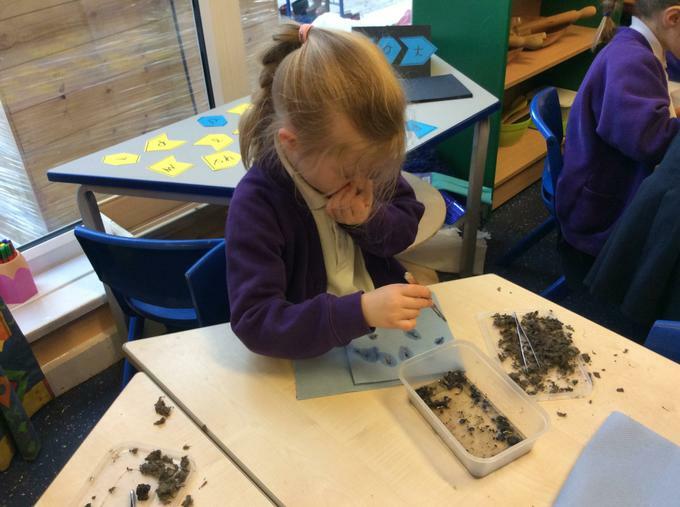 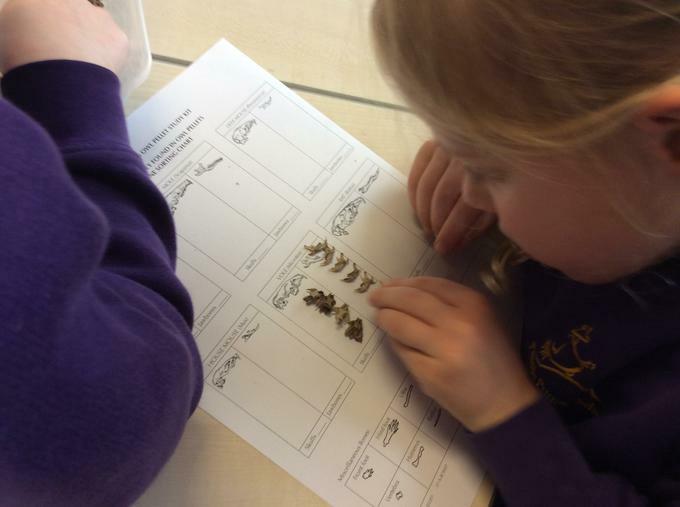 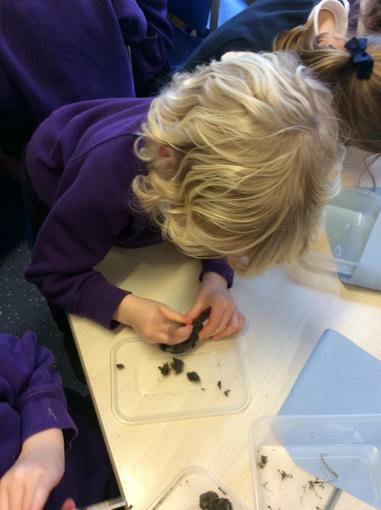 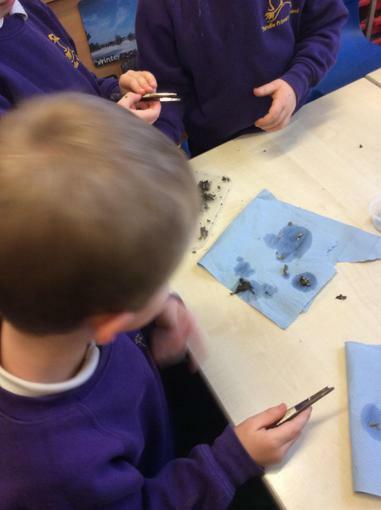 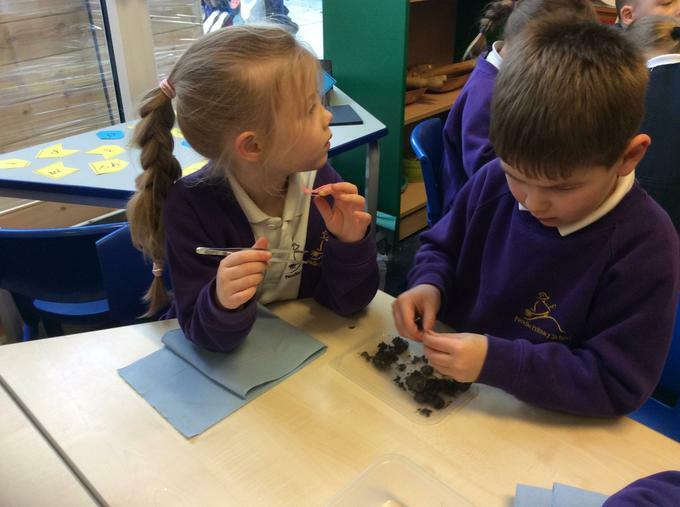 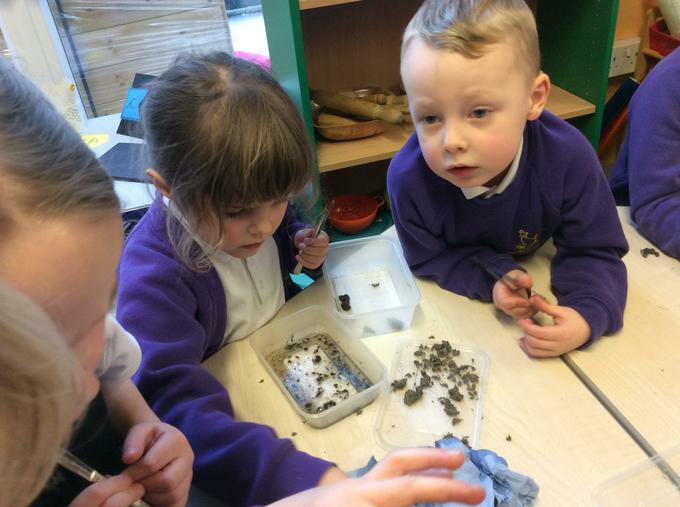 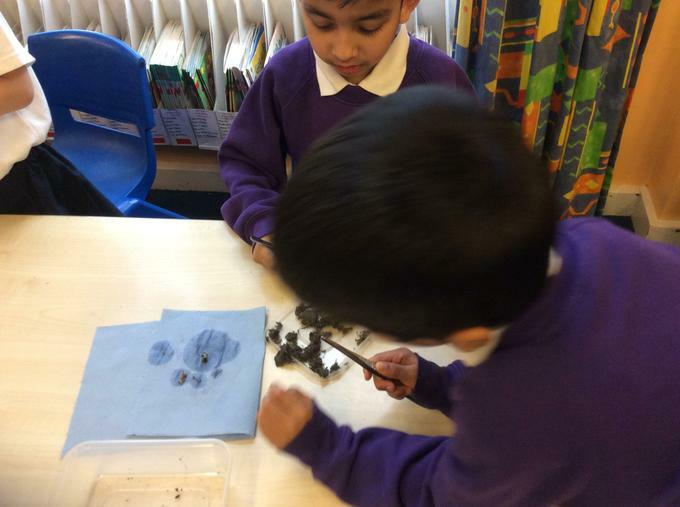 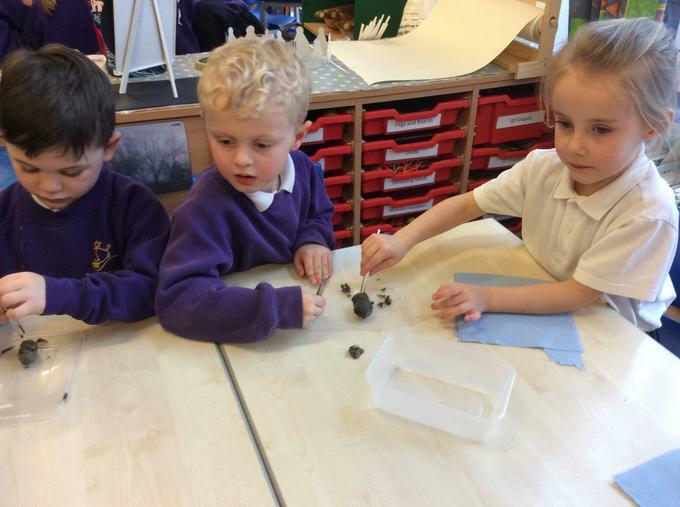 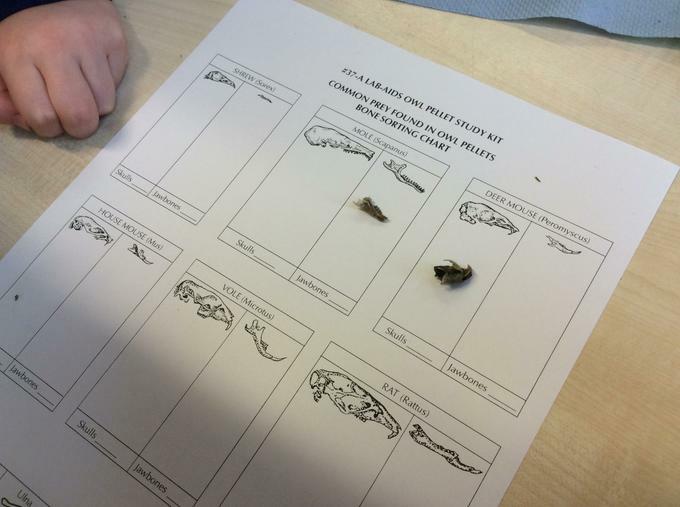 Dissecting owl pellets! 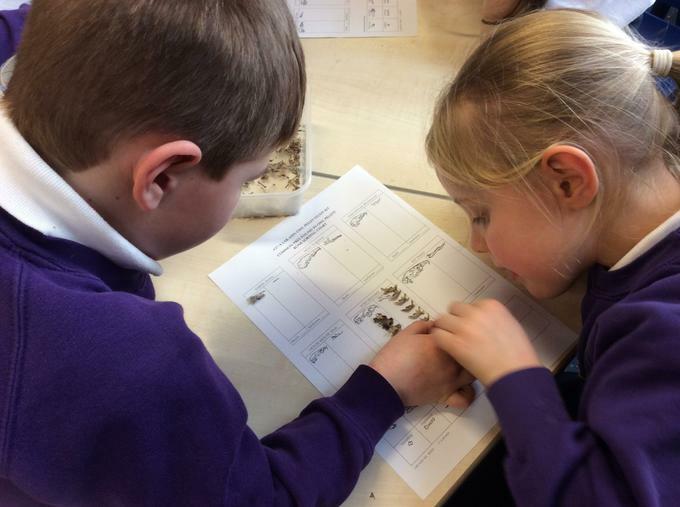 We found hip bones, skulls and even jaw bones. 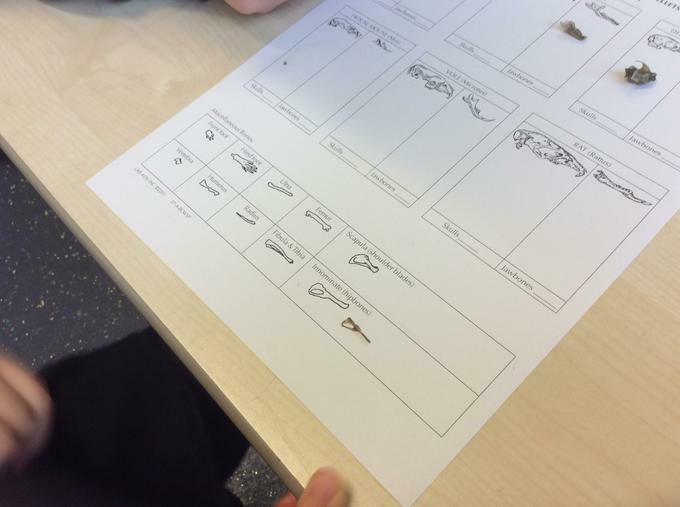 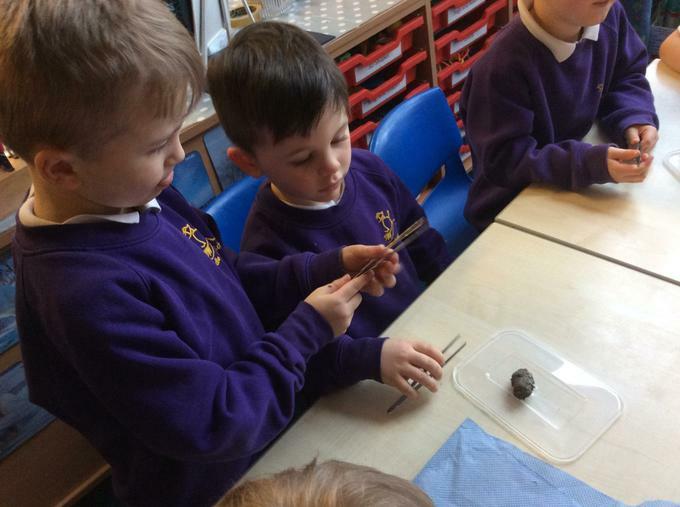 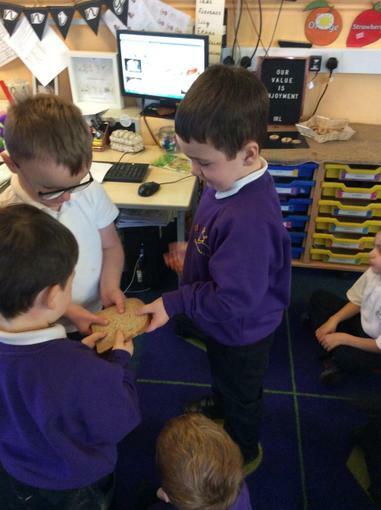 We thought about how they might look different to the bones in our body. 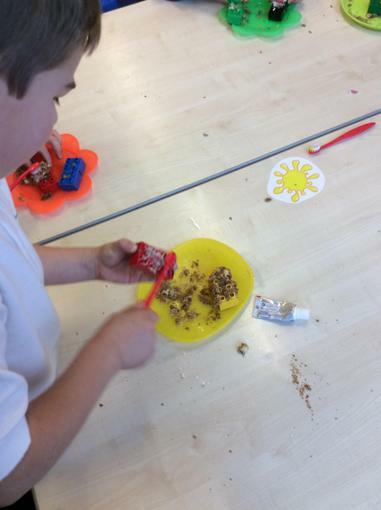 Thanks again Mrs Carson! 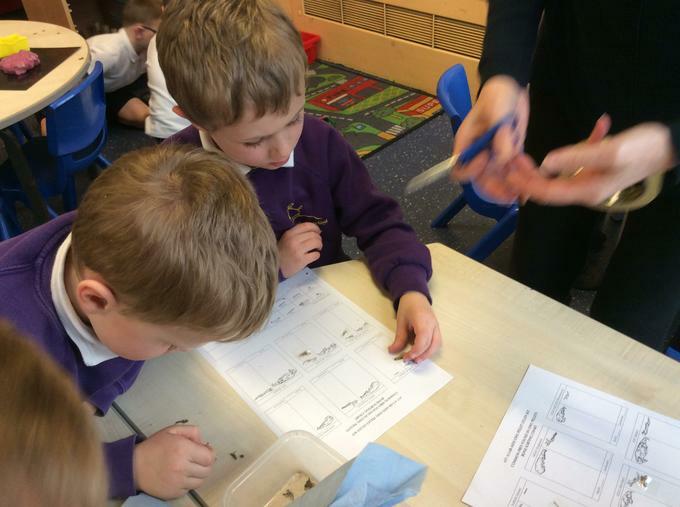 Mrs Carson (a science teacher from Clitheroe Grammar) very kindly came into 1RL to do a science investigation. 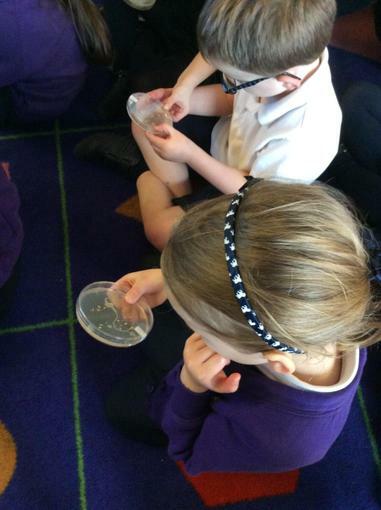 We used agar plates to find out how clean/unclean our classroom really is. 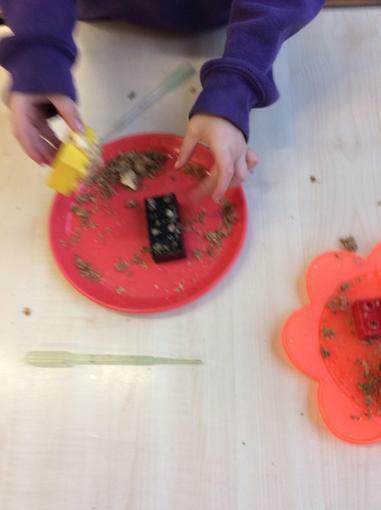 Mrs Carson took the plates away and put them in a special incubator. 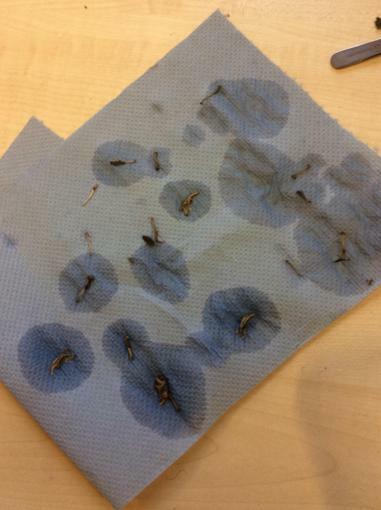 She brought them back into class a few days later. 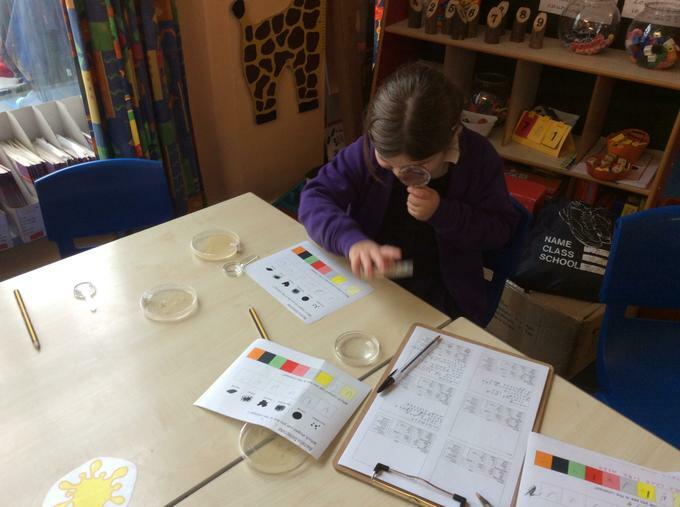 We found out that there are different species of bacteria and that they are living. 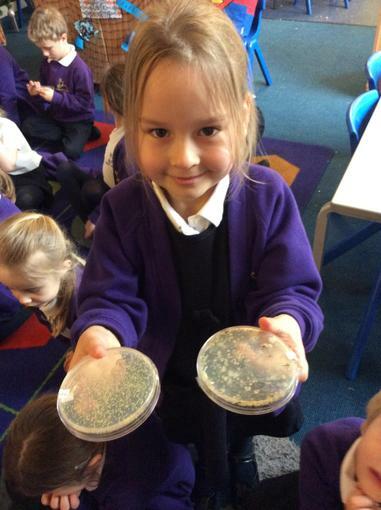 Different bacteria grew on all the agar plates. 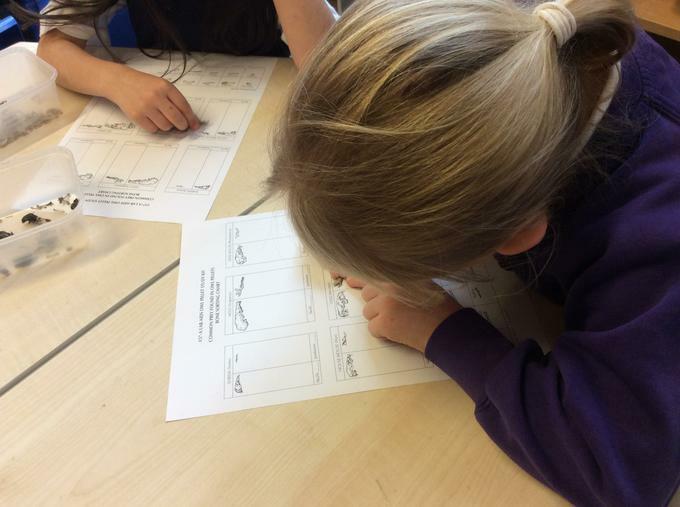 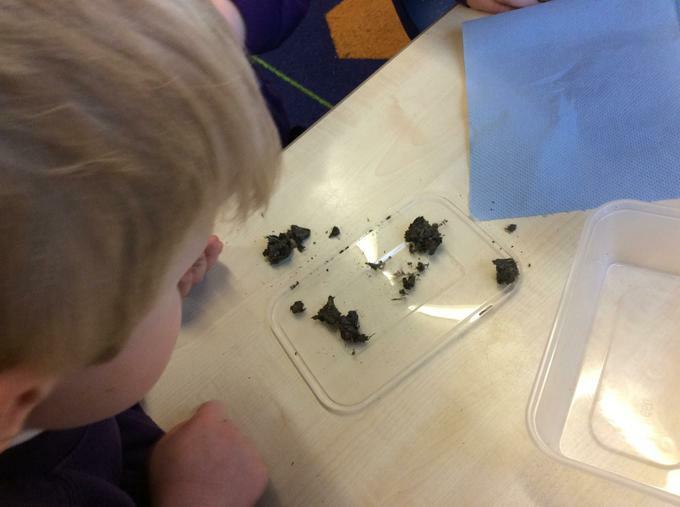 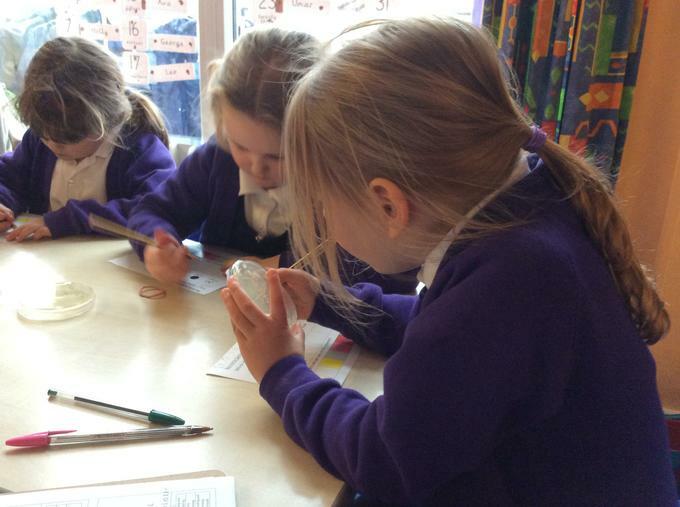 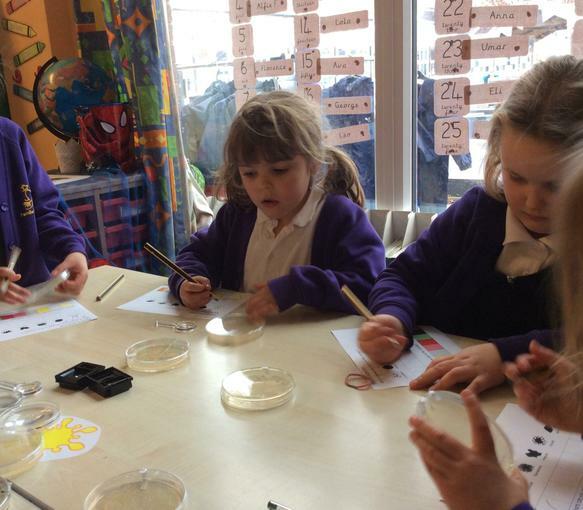 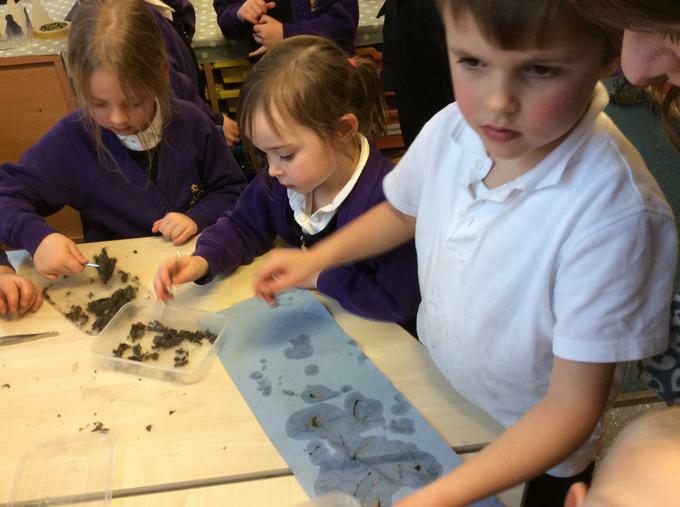 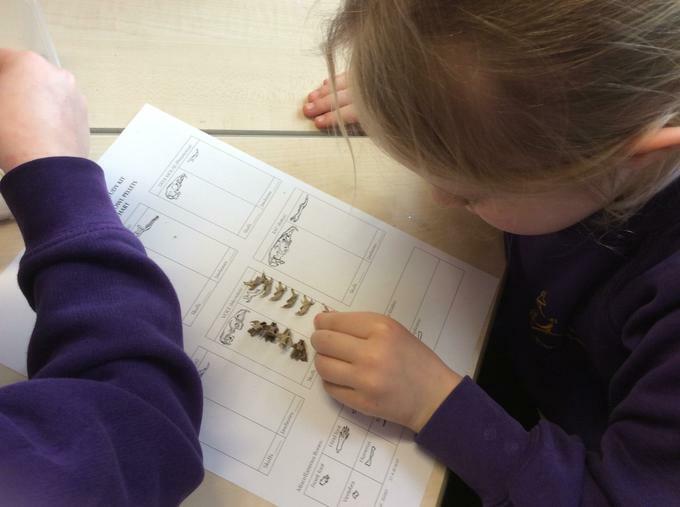 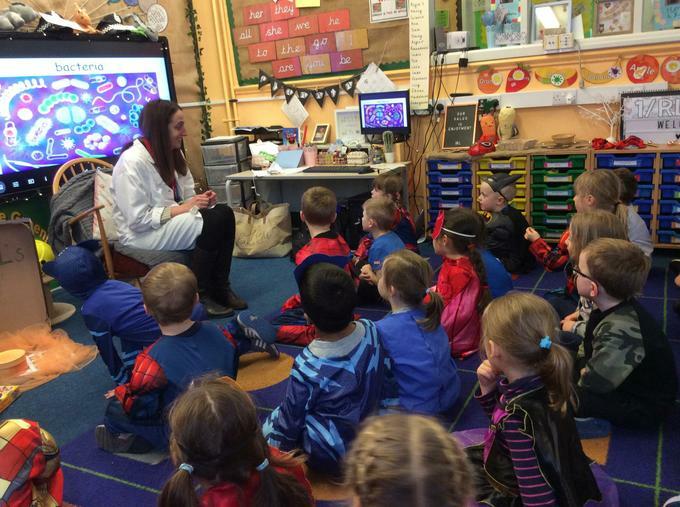 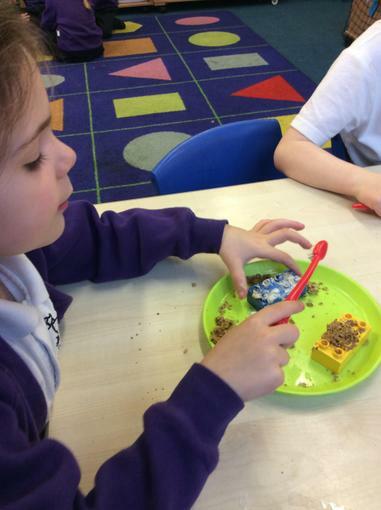 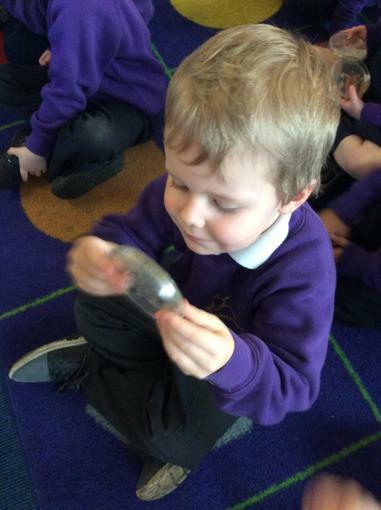 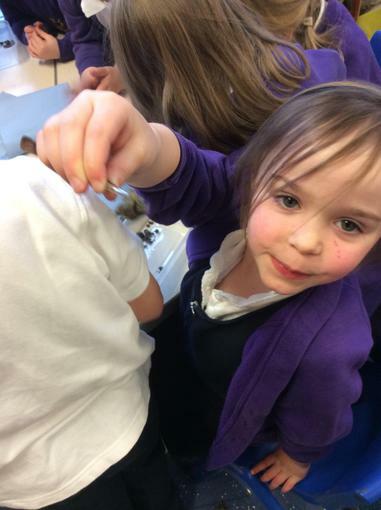 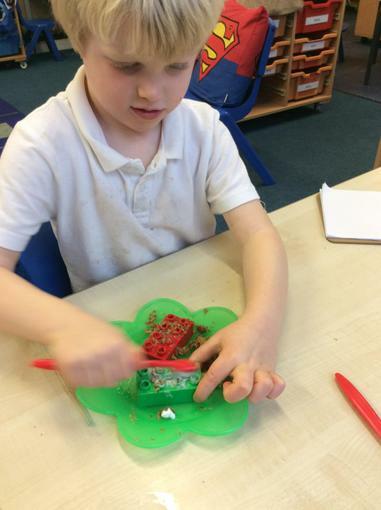 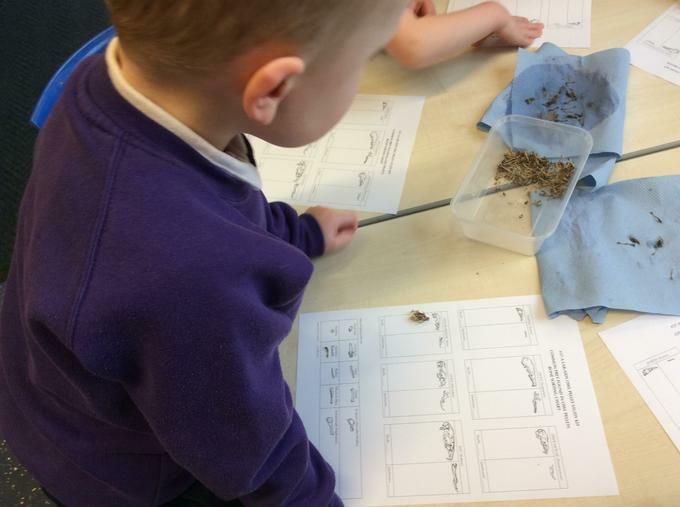 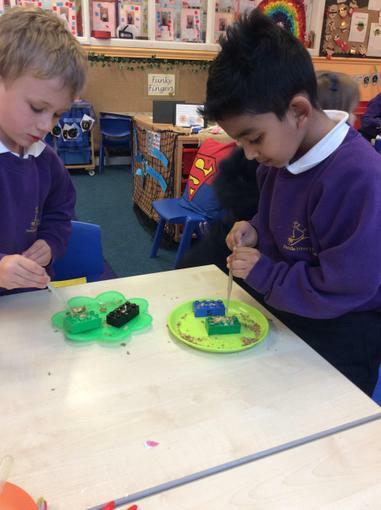 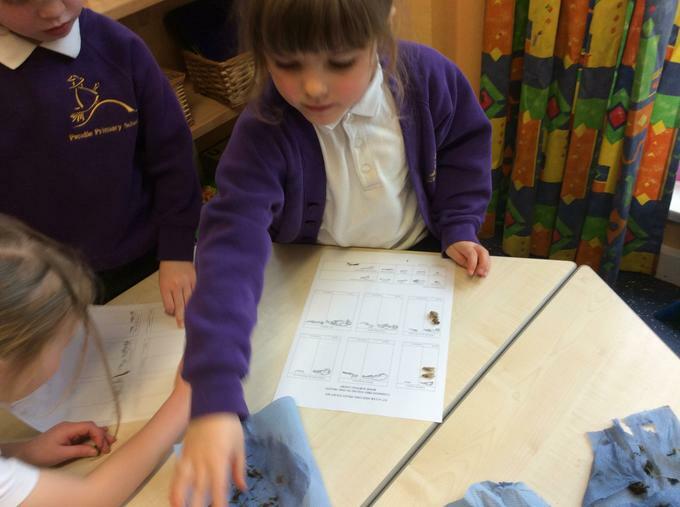 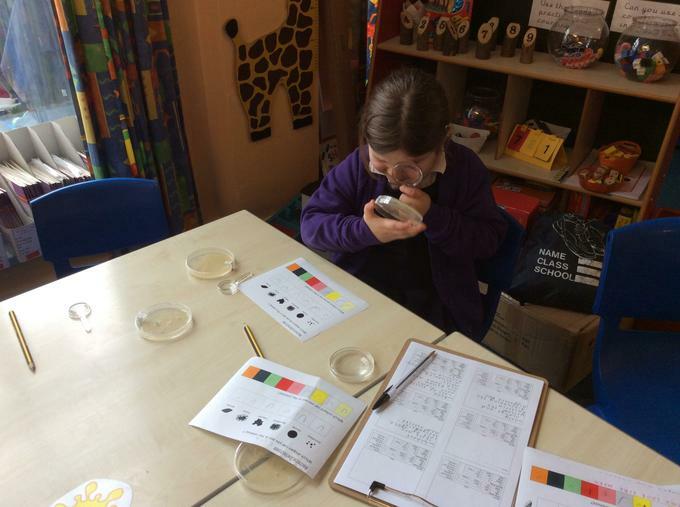 The children enjoyed being ‘bacteria detectives’, looking for different colonies and colours in the bacteria’s. 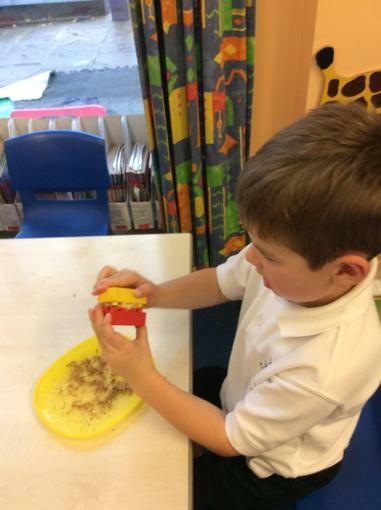 Thank you Mrs Carson! 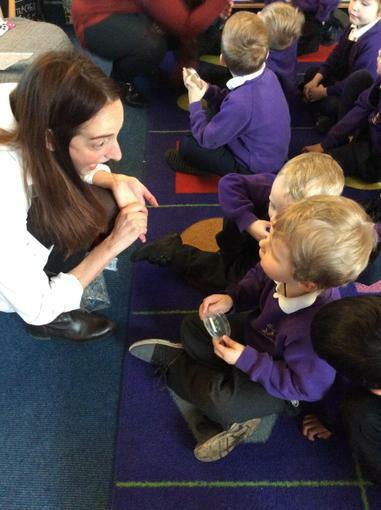 Looking at the importance of brushing our teeth. 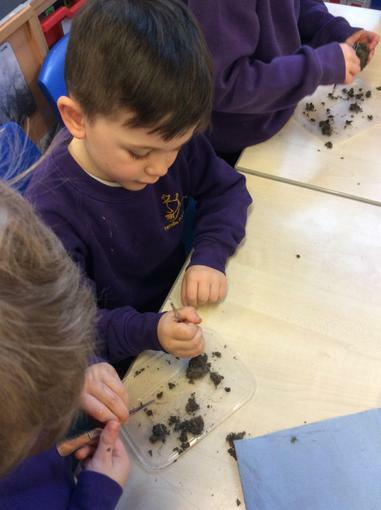 This half term we are learning about how we grow and stay healthy. 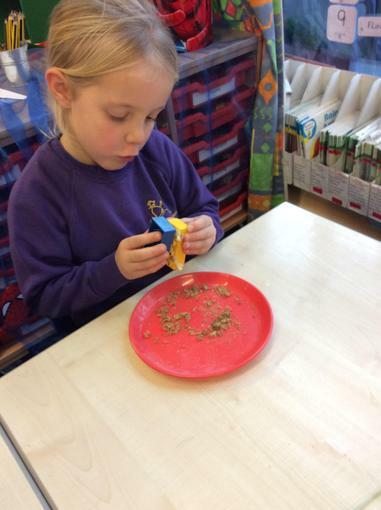 The children will be finding out about the importance of exercise, hygiene and eating the right amounts of food. 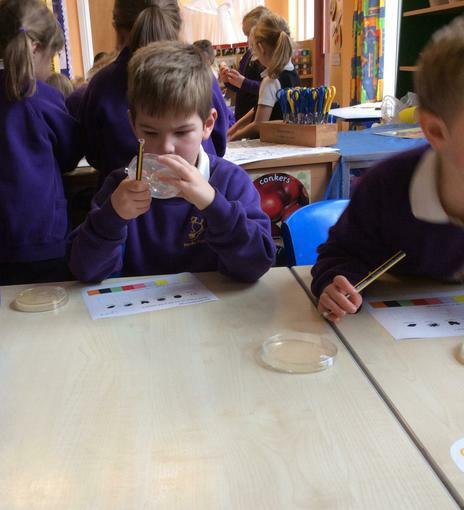 We have started by looking at hygiene with a scientific experiment. 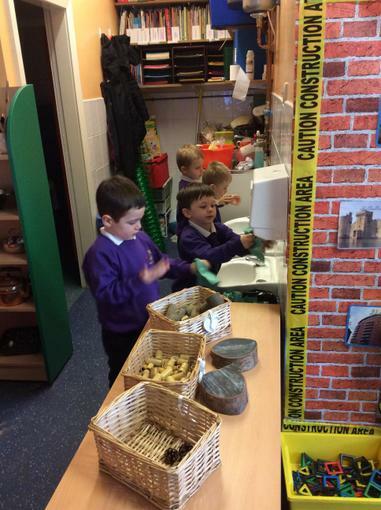 The children are going to find out what happens if you eat without washing your hands. 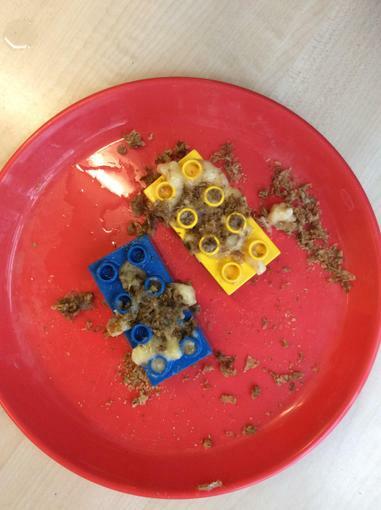 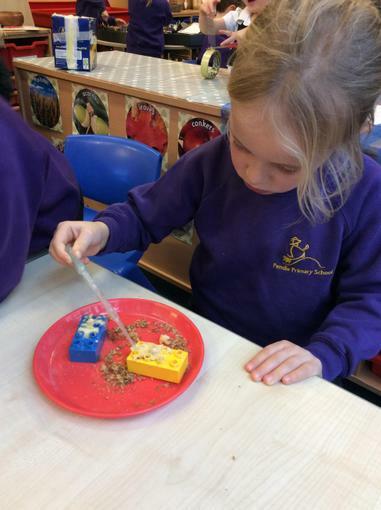 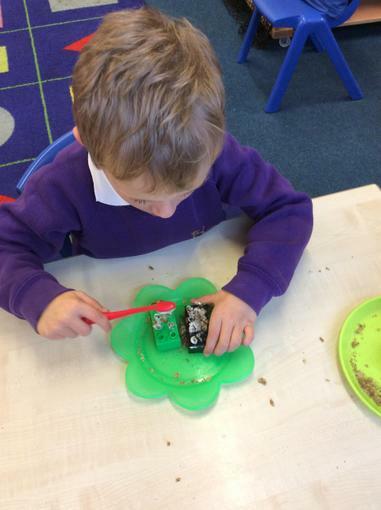 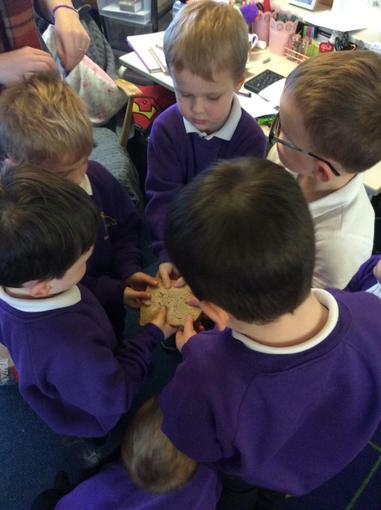 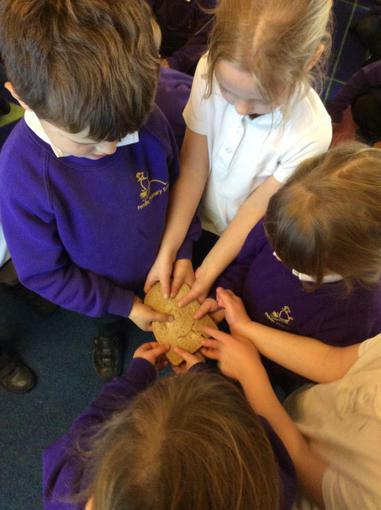 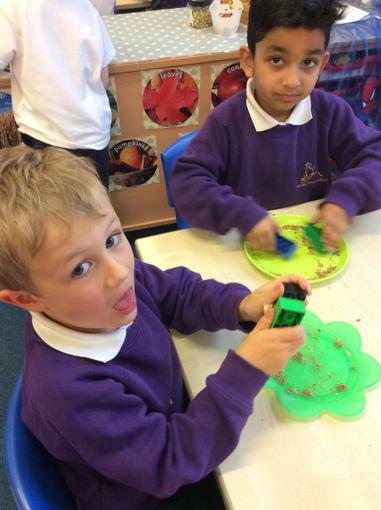 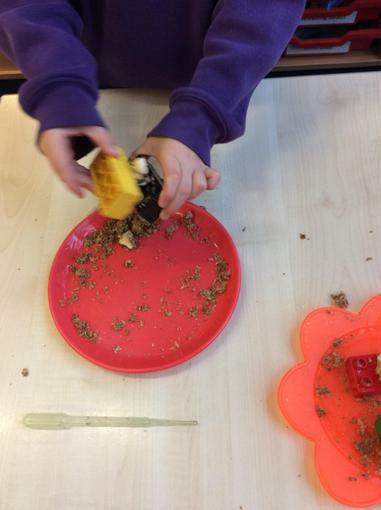 Have a look at the pictures to see what we did to each slice of bread. 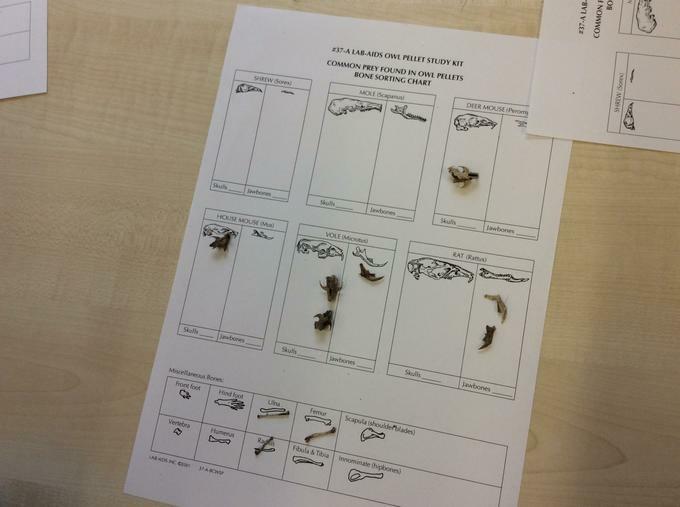 The results with follow.